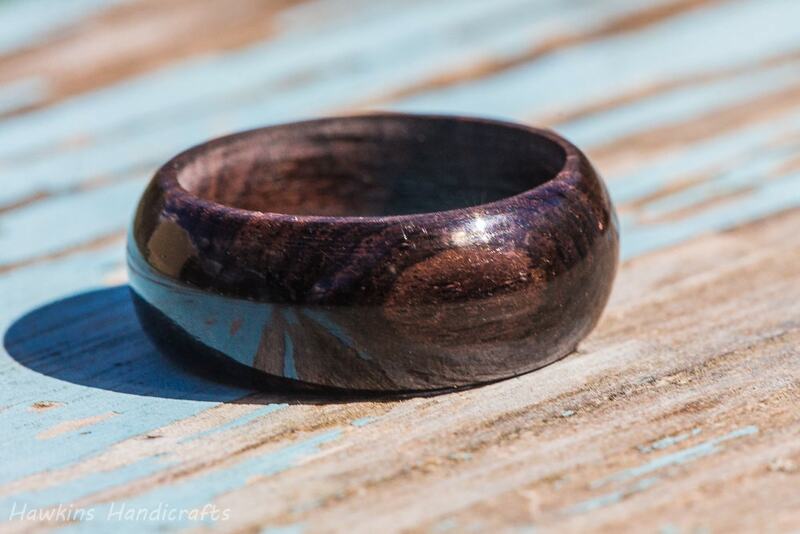 This is a hand-turned blackwood ring custom made to your specifications - choose the size, width, and shape from the options to create your own handmade ring! 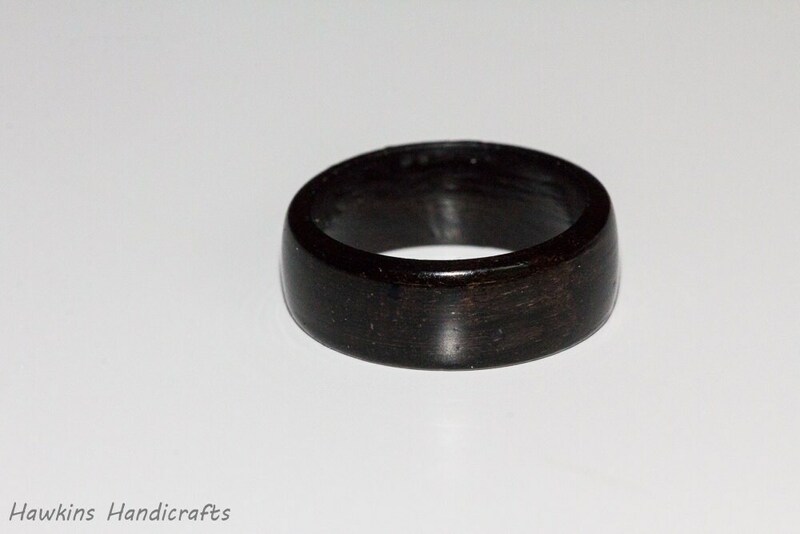 Your ring will have a similar look to those in the pictures, with dark, nearly black grain - but each ring is a unique piece of wood with it's own unique patterning with no two exactly alike! 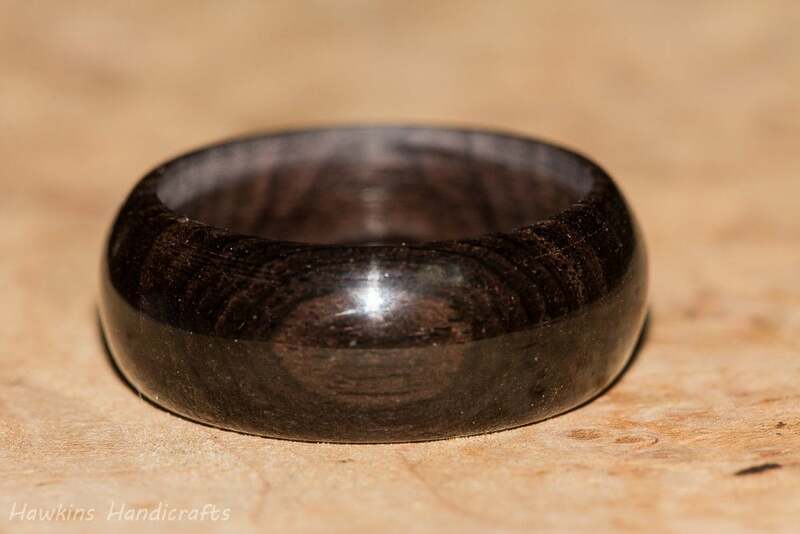 African blackwood is a very dark, fine grained wood similar to ebony - but not quite as dark and with visible grain patterns, whereas ebony is so uniform it could almost be mistaken for a manmade product like plastic. In some lights, blackwood takes on a lovely, dark purple hue, while in sun it is very dark - darker than the images suggest. 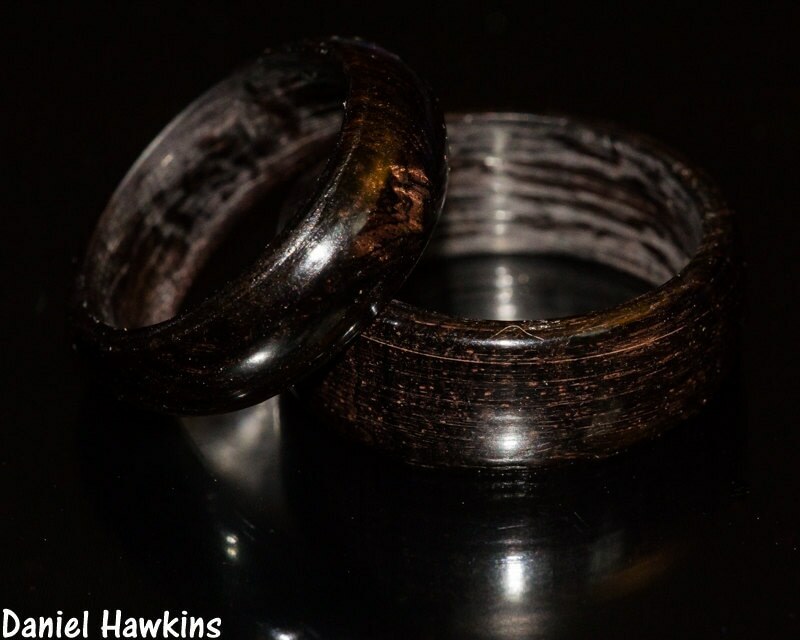 Blackwood is quite dense, which gives even thin rings a good weighty feel, similar to wearing metal. Exactly like the picture! I can't wait to give it to my husband for our anniversary! 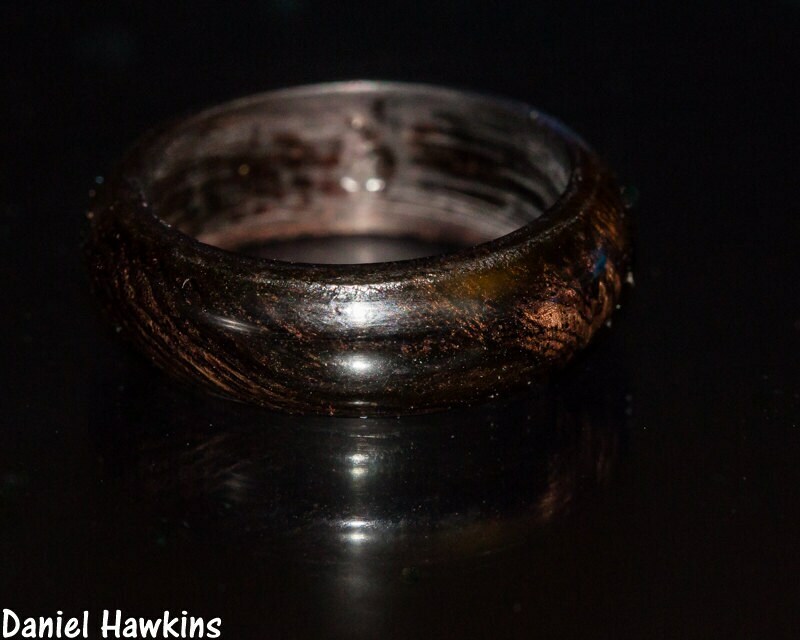 Such an amazing ring! Ordered a size too big and seller was more than accommodating, very quick and kind! Highly recommend them!